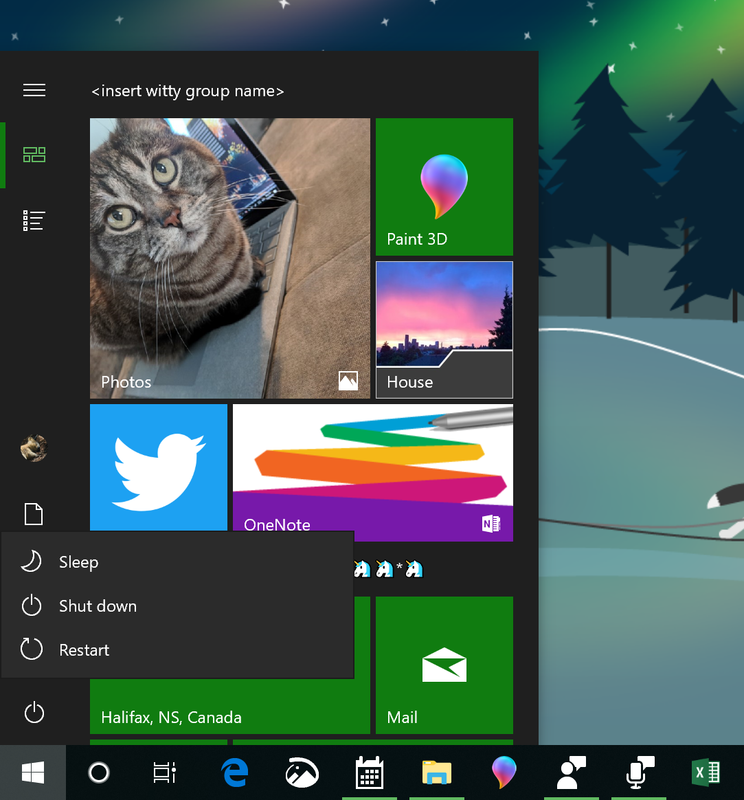 Fluent design updates for the start menu, clock synchronization added, microphone notification area refinements and more are rolling out to the Insider Preview Fast ring in the latest 19H1 build. 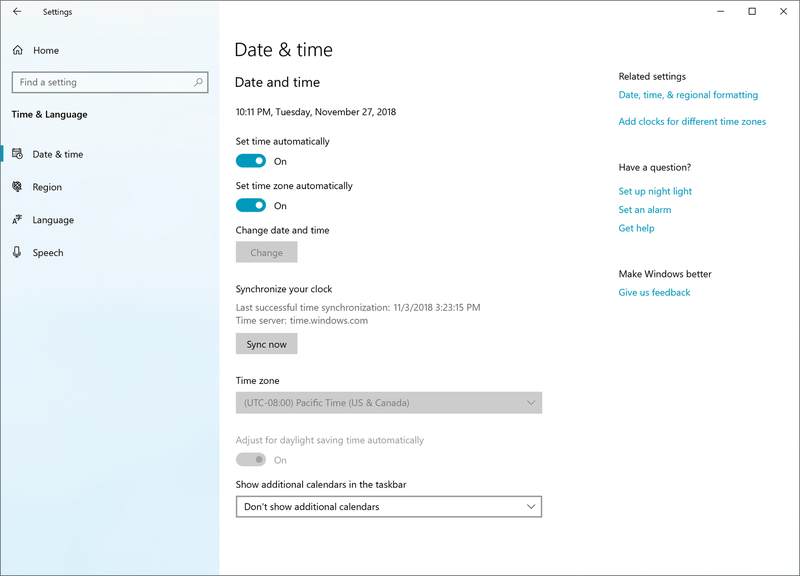 Build 18290 is available to download now from Windows Update. Hot on the heels of the last Windows 10 19H1 build, Microsoft has announced today that it has released build 18290 to Insider Preview Fast ring. The new build brings a few new features, updates, changes and fixes over build 18282 that the company announced two weeks ago. 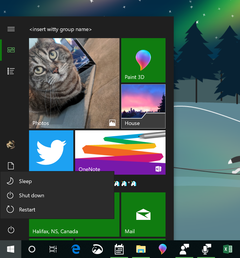 Microsoft has added Fluent design icons to the power menu and to apps pinned to the Start menu, which the company claims provides 'easier identification'. The power menu icons will be visible on the sign-in screen too. Secondly, Microsoft has responded to Insider feedback and has added an option in Date & Time Settings to manually sync the clock with the time server. The company has also added when the system last successfully synchronized the clock and to what address the time server is pointing. The inclusion of this feature and information may be useful if there is an issue with the clock syncing or the time server address. The feature will only work for systems that are not joined to a domain, although it will display on all systems running build 18290. Build 18290 brings an update to the microphone icon in the notification area, which Microsoft first introduced in Build 18252. The icon will now display what program or which programs are accessing the microphone and will open Microphone Privacy Settings when double-clicked. 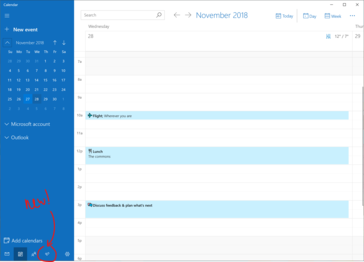 The new build changes how Cortana searches are displayed too. The new build adds support for the light theme and search filter options among other refinements. 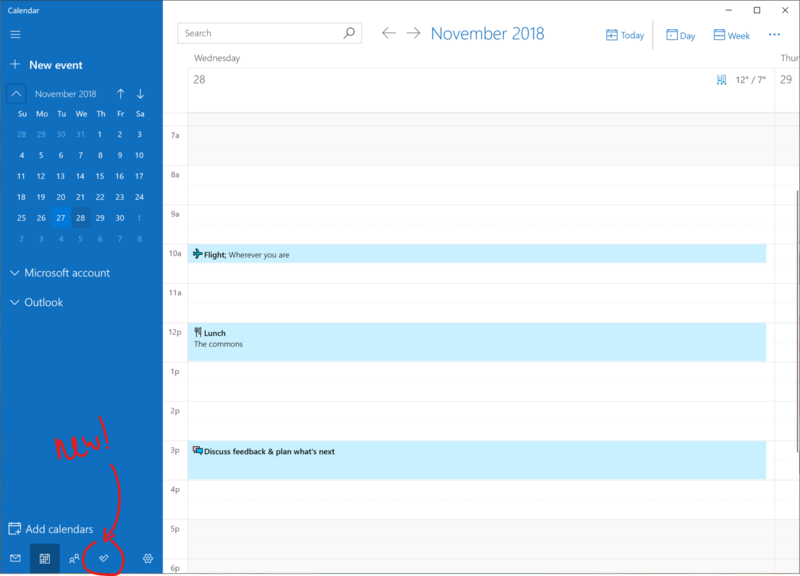 Mail and Calendar now has a button to switch directly to To-Do, although this update (version 110001.20106) is rolling out to Insiders and to Retail users. The new Fast ring build brings a host of general fixes and introduces a few known issues, the full list of which can be found here.